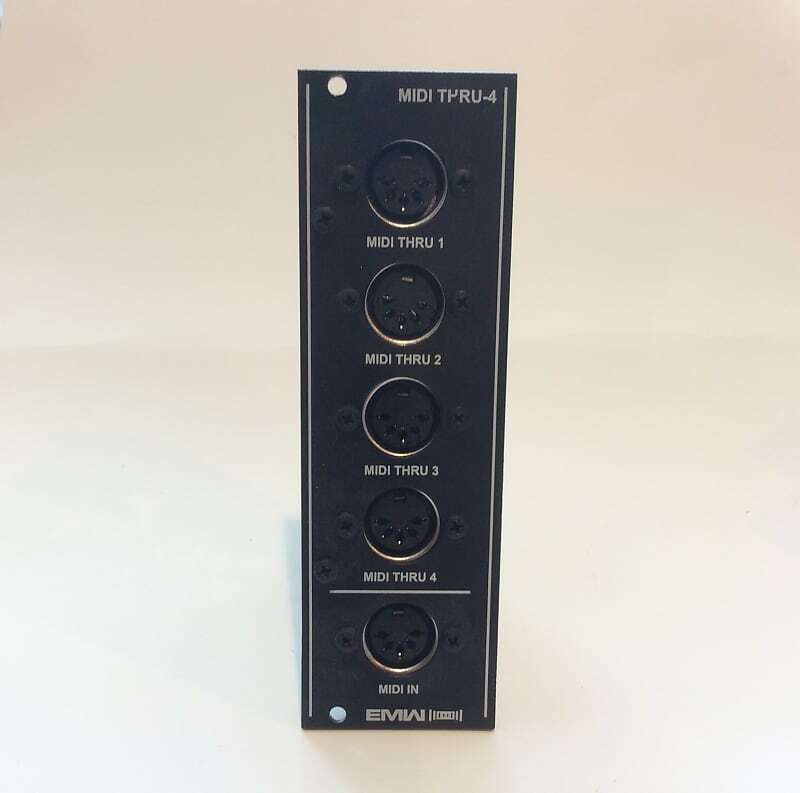 The EMW MIDI Thru-4 was designed to help users with multiple MIDI modules. It let’s you take 4 copies of a MIDI signal that can used with any of our EMW MIDI-enabled oscillators. Comes with bus cable! I will ship UPS ground or USPS Priority Mail with tracking to the continental USA only. Please note: UPS ground is our primary shipping service and has more reliable tracking info but is often considerably slower. For small + heavy objects or faster shipping we also may use Priority Mail. Thanks!